Our heating system accounts for more than 60% of our annual energy bills, which makes it as important as ever to ensure you have an efficient boiler that’s not likely to breakdown unexpectedly. As with gas boilers, oil boilers can breakdown or fault at any time, leaving you without heat and hot water for your property. This could end up costing you over £300 in repairs depending on the actual fault. Oil boilers of more than 10 years of age are prone to suffering a fault of some kind, and the only way to guarantee not experiencing this during the winter is to have a replacement boiler installed. Oil boilers are often installed into homes that don’t have access to the National Grid’s supply of mains gas. If you do have access to the Grid network then consider replacing an oil boiler with a gas system and you’ll instantly see huge savings on fuel. Condensing boilers have grown in popularity throughout the UK because of their high energy efficiency. With a larger flue, more hot gas is retained and used for heat. The efficiency of condensing boilers is typically over 90%, compared to inefficient systems seeing just 70% efficiency. Combi boilers tend to be the most popular than condensing boilers and come as either oil or gas heated. With a combi boiler you can heat your home and be provided with hot water on demand. There’s no need for a water storage tank which will save you plenty of room in your loft or airing cupboard. If you need an urgent oil boiler quote, or want to find out the oil boiler replacement cost, why not complete our quick form. We’ll provide you with up to four FREE boiler quotes from local, vetted and reputable professionals to ensure you get the right price. Phoned as soon as i confirmed email and were out to quote within few hours even on a saturday. They put some engineers in touch with us. Homes are given an energy ranking depending on how efficient they are and ratings are presented in the information down below. This ranges from A, by far the most energy efficient, to G, the very least efficient. With a higher rating you're more likely to have more affordable energy bills as more heat will probably be retained in the home. It is possible to improve your home's efficiency with insulation including upvc double glazing, loft lagging or wall cavity insulation. There are many different types of property in the United Kingdom and the data beneath highlights the type of housing within Uk. Over the country the most popular housing types tend to be semi-detached and terraced housing, but detached homes, flats and bungalows are also available. The data below gives an indication for the number of properties in Uk that are central heated and non-central heated. Homes are heated by a number of sources which reflect how pricey yearly energy bills will be. 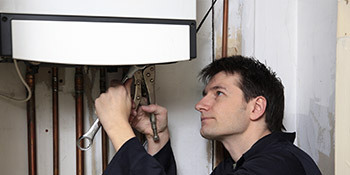 Examples of central heating include gas, electricity, oil, solid fuel and LPG boilers. Changing the way your house is heated can see you with cheaper bills. The data underneath shows the spread of properties heated by different fuels. Throughout the UK the most frequent by far and away are gas heated properties, followed by electricity and then oil. Biomass boilers are also increasing in popularity, heated by environmentally friendly products such as wood pellets or agricultural waste.|Houses in Britain are heated by a range of fuels, including gas, electricity, oil, solid fuel and LPG boilers. Each fuel has a varying cost associated with it so you may find yourself with cheaper energy bills by switching how your home is heated. Even solar thermal panels are being considered by many people in order to reduce heating bills for the years to come.